Richard Grace grew up around warbirds and continues his family's legacy. Ever wonder what it takes to maintain a civilian-operated F-4 Phantom II? Warbird Digest sat down with Rick Harris of the Collings Foundation to find out. The Roseland Spitfire, honoring a young Canadian flyer who made the ultimate sacrifice, has taken flight. A true combat veteran, this P-40 is now available for flight training and flight experience rides in Florida. 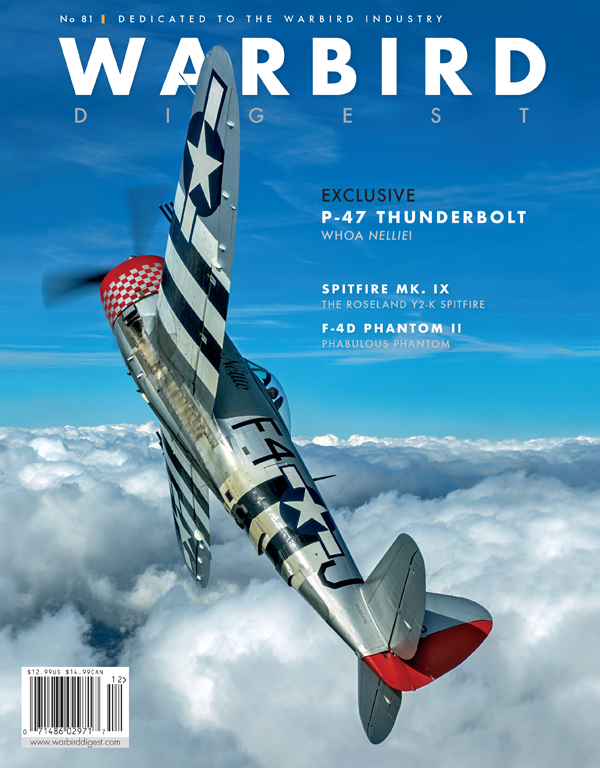 Warbird Digest brings you the history of this much-traveled Jug, again flying in the skies over England with a new owner and wearing a spectacular paint scheme.